Available in 10″, 12″, 15″, and 18″ woofer sizes. 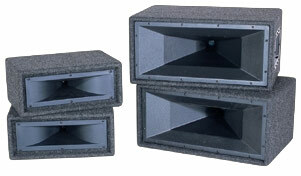 Add these speakers with mid range horn cabinets to any sound system for extra audience coverage. Two sizes available. Place on top of any sound system and angle in any direction for added audience coverage without the need for speaker stands. Comes with 6′ cable or any custom length you require. 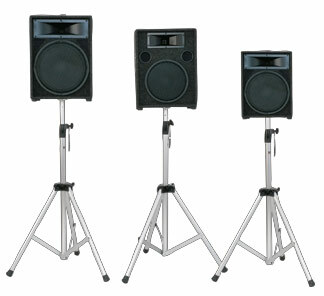 Wedge-shaped design makes these speakers ideal to place on the floor of the stage for musical and theatrical productions. Maximizes the performance of actors and vocalists.